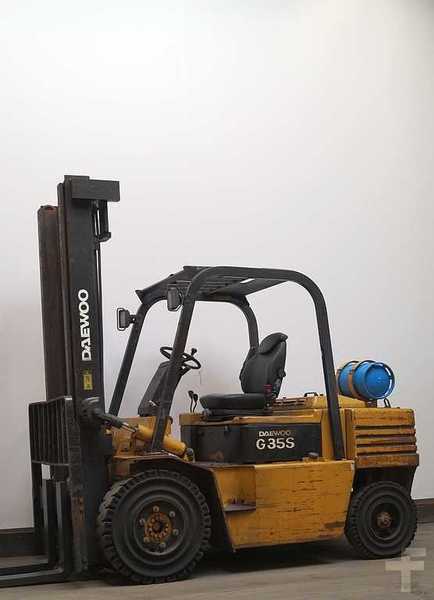 Used forklift Daewoo G35S - Forklifthouse B.V. The list of DAEWOO forklift offered for sale in our catalog is constantly increased. This piece of special equipment was produced in 1998. The details on axles, suspension and euro norm include: tires: unbekannt/unbekannt. Max. lifting capacity: 3500 kg. The lift height is 4000.